Compared to winning the lottery? What are the odds of being dealt a royal flush? This week's What are the Odds? 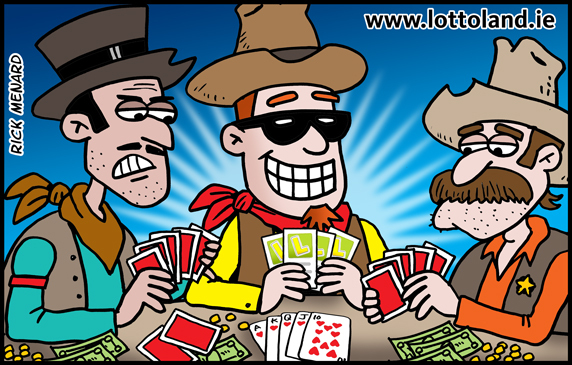 article looks at the odds of being dealt a Royal Flush poker hand in comparison to winning a lottery at Lottoland. Everyone knows that a Royal Flush is the best possible hand that a player can be dealt in poker, getting a straight flush with the Ten, Jack, Queen, King and Ace cards. Making a Royal Flush in a game like Texas Hold’em is rare, but not exceptionally so, with the right cards and the right flop. Most veteran poker players have had their poker faces tested a few times when they are lucky enough for this quintet of cards shows up in their hand. In a 7 card game, not taking into account skill or any other factors, your chances of getting a Royal Flush are about 1 in 30,940. However, your chances of getting a Royal Flush with your first five cards in straight poker are significantly less. Your odds being dealt a natural Royal Flush with the first 5 cards out of the deck when playing the traditional game are just 1 in 649,740. To put that number into some perspective, if you were dealt 20 poker hands every night over the course of your lifetime you would expect to get that royal flush once in 89 years! In poker there are 2,598,960 possible hands. Therefore your chances of getting the same card combination twice in your lifetime are highly unlikely unless you play a ridiculous amount of poker. With that said, your chances of getting a Royal Flush are still better than winning a lotto jackpot. The lottery with the best odds at Lottoland is the Irish Lotto where your odds of taking home the top pot by matching all 6 numbers are 1 in 8,145,060. However your chances of matching 5 numbers is significantly less at 1:34,724, about the same as making a Royal Flush in Texas Hold’em. If there is a big jackpot then 5.38% of the total pot which a “Match 5” will get you can be several thousand Euro - a lot more than what you’d make on most poker hands! The Germans and French have a long history of conflict, including about who created poker. The French say it was derived from a card gamed named “poque” while the Germans sat that both poker and poque are based on a card game they invented named “pochen.” The first people to use the name “poker” were English speaking settlers who adopted the game from French pioneers in Louisiana in the early 19th century. The suits (clubs, diamonds, hearts and spades) were first used in France in the late 15th century and represented different classes of people. Clubs represent peasants, diamonds represent merchants, hearts represent the clergy and spades represent the nobility. Each king also represents a famous historical king or emperor –Clubs represents Alexander the Great, diamonds represents Julius Caesar, hearts represents Charlemagne and spades represents King David. “The Dead Man’s Hand” is a legendary hand allegedly held by notorious Wild West lawman and gunfighter Wild Bill Hickok when he was shot dead by buffalo hunter “Crooked Nose Jack” McCall at Nuttal & Mann’s Saloon in Deadwood, South Dakota. The hand consists of a pair of aces and a pair of eights. The 5th card has been discarded and remains a subject of debate amongst historians and poker aficionados to this day. In 1937 some card makers, including Waddington’s in the UK and Parker Brothers in the United States, tried to add a 5th suit of “Green” to card decks and wrote a whole new set of rules for how this would be implemented into popular games including poker. However it was a bust and the concept was discontinued since people did not want to buy new card decks or play by new rules. Texas Hold’em poker was born in Robstown, Texas in the early 1900’s. Although common in the Lone Star State it did not catch on worldwide until it was introduced to Las Vegas casinos in 1967 by a group of notorious Texan professional gamblers including Doyle Brunson, Crandell Addington and Amarillo Slim. For many years the only casino to offer Texas Hold’em was the Gold Nugget Casino off the strip. Texas Hold’em is now the most popular form of poker worldwide, mainly because the format allows for much more strategy and tactics than the “straight” game does. The longest poker game ever took place, allegedly, in the Birdcage Theatre in Tombstone Arizona. Starting in 1881, the tourney had a hefty $1,000 buy in and is said to have lasted for 8 years, 5 months and 3 days. In the late 19th century almost anything from gold nuggets to bullets were wagered as “poker chips” when cash was not available. In need of a more standardized currency wood, bone and even ivory chips were introduced and decorated with the casino’s logo. However illegal copying of chips was rife and it was not until the 1900’s that manufactured clay chips were introduced which were much more difficult to forge. The first professional poker player to win $1,000,000 was Doyle Brunson who won the Poker World Championship in 1976 and 1977 – both with a hand of 10 and 2! This was subsequently named a “Doyle Brunson” by professional poker players in his honour. Richard Nixon was an avid poker player and even used his card skills in his political campaign endorsements. During his time in the Navy Nixon won over $6,000 in tournaments and used the cash to help finance his successful run for election to the California House of Representatives. The youngest player to win the World Series of Poker was Joe “the Kid” Cada who banked $8,547,044 in 2009. The oldest player was Paul “Cigar” McKinney who won $202,725 on the World Series of Poker Seniors at age 80. Every year 40 million people gamble on various games of chance and skill, including poker, in Las Vegas, Nevada. Studies have shown that about 2% of those go home with more money than they came with. The first online poker room was Poker Planet, created in 1998. There is now thought to be well over 1 million online poker rooms active worldwide. In top casinos paper cards do not have a life of much more than 15 minutes which is why most have now switched over to high quality plastic. There are thought to be at least 130 variations of poker around the globe. Unless you’re a world class poker player you’ll not make a million playing poker. 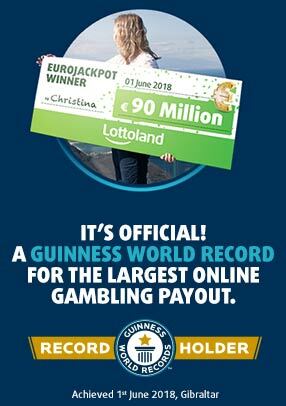 If you play the Lotto with Lottoland tomorrow this Wednesday, however, evening you could be walking away with a cool €8 million, more than enough to up the ante on your poker buddies this weekend.